In the late 1800s, a hot question was debated by many: Does a horse lift all four hooves off the ground during a gallop? Motion pictures didn’t exist at the time so there was no easy way to know the answer. 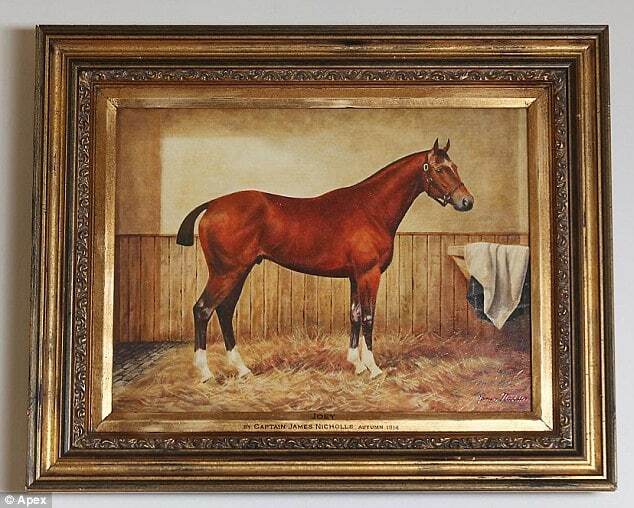 California Governor Leland Stanford, founder of Stanford University, argued that horses take all four feet off the ground during a gallop with the front and back legs extended at the same time, as depicted in Currier & Ives lithographs. Stanford, a wealthy man, hired English photographer Eadweard Muybridge to settle the argument. 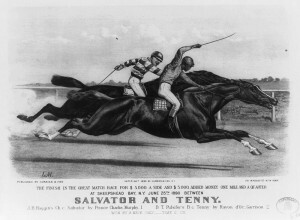 A Currier & Ives image illustrating how the gallop was perceived before film. Muybridge set out to invent a system that would use 12 cameras (later using 24 cameras) spaced 27 inches apart and trip lines to capture motion on film. As a horse ran across the area to be photographed, it tripped the lines and triggered the camera shutters to open and close. In 1878, he finally succeeded in capturing a horse named Sallie Gardner running at speed on Stanford’s personal racetrack in Palo Alto, California. The press was invited to witness the event so there would be no doubt in people’s minds that the pictures were authentic. Sallie Gardner in motion. These were the pictures that showed the world that all four of a horse's hooves are off the ground during a gallop. Titled The Horse In Motion, the pictures made it easy to see for the first time what a horse really looks like when it’s running. 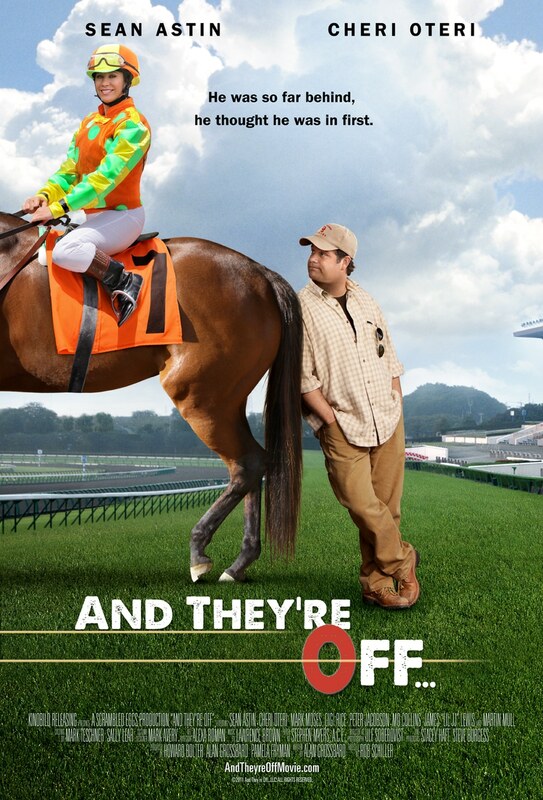 Even so, there were still people who didn’t believe their eyes and argued that horses could never move that way. A pioneer in the invention of motion pictures, Muybridge also had a troubled life. 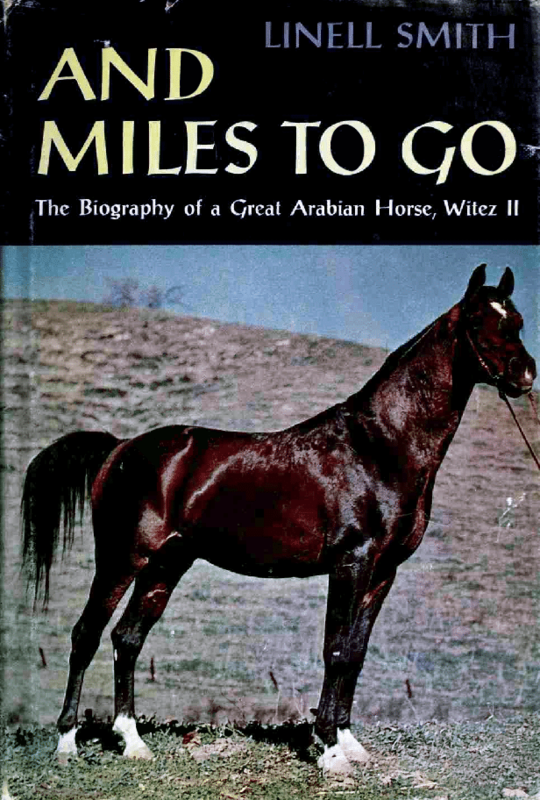 Stanford published a book called The Horse In Motion featuring Muybridge’s work, but didn’t give the photographer credit. Muybridge sued Stanford over the matter and lost. In 1874, while he was working on his motion picture system, Muybridge learned that his wife was having an affair. Irate, Muybridge shot his wife’s lover to death. He was tried and acquitted for murder. Stanford paid for Muybridge’s legal defense and Muybridge’s wife divorced him. Muybridge’s invention also lead to the photofinish after the photographer wrote a letter to the British scientific publication Nature suggesting that his device could take a picture the moment horses ran across the finish line, determining the winner. There were some challenges implementing his idea, but the first photofinish camera was installed at a racetrack in 1888. After his success photographing horses, Muybridge captured a wide variety of animals in motion, including bison, cats, ostriches, and humans in various gaits. Muybridge’s photos of locomotion are still studied today. Muybridge gave a presentation in 1880 at the California School of Fine Arts that included an invention he called the “zoographiscope,” which projected his photos in sequence onto a screen to show motion. This is believed to be the first motion picture presentation in history. To learn more about Eadweard Muybridge, visit The Compleat Eadweard Muybridge. Summary: This film has two strengths — the talented equine actors and the beautiful desert scenery (filmed in Namibia and South Africa). Once you see some of the mediocre human acting, you’ll probably feel grateful that the movie is only 49 minutes long. 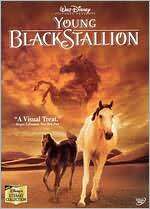 Disney’s first IMAX film, Young Black Stallion is a prequel to The Black Stallion (1978). G-rated and safe for little kids, this is a good addition to a horse-crazy kid’s movie collection. The colt, Shetan, appears again and this time Neera becomes determined to train him for an upcoming race. The winner of the race gets to pick the best horse from each race participant’s herd for their own breeding program. The odds are against Shetan and the race is a grueling fight to the finish line, but our hero (and heroine) prevail and the grandfather’s breeding program is restored. According to the bonus features on the DVD, each horse actor had just 30 to 40 days of training before appearing in the film, and the horse trainer had to stand waaaaaaaaaaaay out of the scene and still communicate with a loose horse. 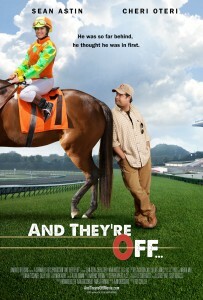 Obviously the horses chosen for the film were very intelligent and willing animals. I get the feeling the emphasis of the film’s director/producers was on finding beautiful horses and training them well rather than developing strong human characters and a good plotline. One quirky detail that bugs me is that the extended beginning shows us that Shetan’s sire was a Friesian (???) who came down from the heavens. I can forgive the fantastical descent to earth, but portraying a Friesian (a Dutch breed) as the sire of a desert Arabian is just weird. 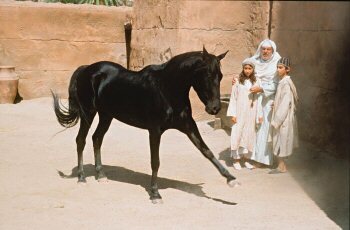 If you enjoy Arabian pedigrees, this movie has plenty to entertain you. The old sway-backed cart mare is actually a rare German-bred *Salon daughter (and Nazeer granddaughter); the grey antagonistic stallion in the race scenes was a son of the *Salon daughter; the chestnut antagonistic stallion in the race scenes was a rare straight Russian son of *Nariadni; the yearling black stallion was played by a dapple grey son of the chestnut *Nariadni son; and the mature black stallion was played by a bay Thee Desperado son. If you know these horses, you’ll have fun looking for family resemblances in the movie.